When God Steps In by A.B. Simpson The greatest need of human hearts is to know the sufficiency of God. God willingly gives His power and grace to all. Wholly Sanctified by A.B. 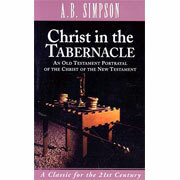 Simpson $12.50 A classic appeal for true holiness (1 Thess 5:23). The path to a fragrant life in Christ is the indwelling of the Holy Spirit.